Have you ever inquired about what to wear to an upcoming social event? Then, based on the person's response (e.g. dressy casual, comfy clothes, a shirt & tie, etc. ), did it help you determine the level of formality you were going to follow? This is the notion of anchors or benchmarks. We do this in the real world to gauge an appropriate level of expectations or quality. This concept is powerful for classroom writing, too. You need to help students know your expectation for writing tasks, and they need to know when they've met them. Authentic writing samples help teachers show what good writing looks like. Mentor text can also be passages from textbooks or excerpts from literature. However, some students are turned off by the perfection of published works; it seems too unattainable in their minds. It's nice to balance published samples with actual student writings you've collected and saved. Students are motivated by writings done by someone of a similar age. They especially like seeing that writing in the student's original handwriting. It seems much more real. So where do you get student writing samples? One source is your own writers. Start saving and collecting them. Ruth Culham has published three books with anchor papers entitled Using Benchmark Papers to Teach Writing With The Traits. There is a version for grades K-2 and another one for grades 3-5 and the latest one for middle school. 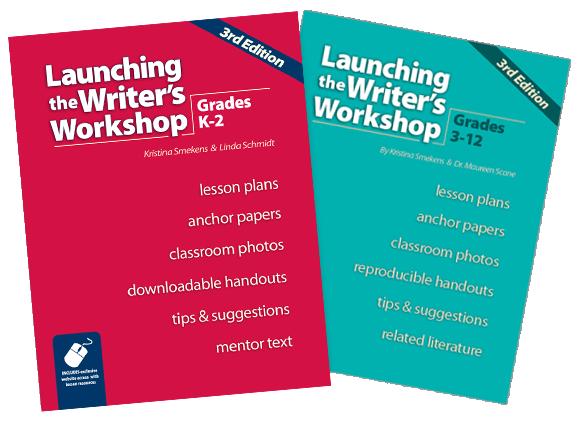 Our Launching the Writer's Workshop books include 100+ writing samples on CD. This book comes in two versions also: K-2 and 3 and up. The notion of an anchor paper is that the observer can learn from it. It anchors understanding and expectation. Although all anchor papers aren't only revealed for their strengths (sometimes we reveal weak writings to point out what we don't want), the point is not to revise or edit this anonymous writing. Anchor papers aren't used as samples to "fix" or make better. They are a means of mentor text. 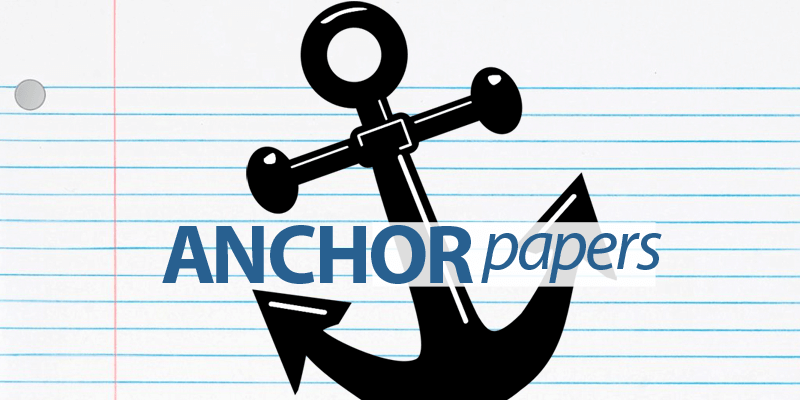 Use a variety of anchor papers to introduce a new genre or writing format. Immerse students in the samples and get them to notice the common components and characteristics from good sample to good sample. Reveal a skill done well within your mini-lesson. Before teaching students how to execute a writing skill, first show them multiple examples. They need to notice the skill in action first. Use one anchor paper that exemplifies the skill multiple times, or use numerous excerpts from several anchor papers. Use an anchor paper as part of a writer's conference. Point out the skill done weakly/incorrectly in the student writing. Then show it done strongly/correctly in the anchor paper. After discussing the differences, have the student find additional times he made the same error/mistake in his own draft. A writer needs to first be able to apply the skill as an afterthought before he can intuitively apply it in a first draft. A "before" and "after" anchor paper can be great to reveal writing process. Students need to see how much work goes into revision and editing. This isn't about changing a couple words and fixing some spelling errors. They need to see the dramatic difference the revision and editing process can make. NOTE: You may want to also include the "during" drafts that show the changes and improvements in various colored inks. Anchor papers can be used to depict the levels of quality on a writing rubric. If you have a writing rubric with 3 levels of criteria described (high, middle, low), then writing samples can hang off the bottom of each level. For the visual learners this helps them recognize how close to "done" they are. It helps them self-assess and determine what needs improvement within their own drafts.